Apple TV+ in the UK: can Apple’s TV and film hub better Netflix? 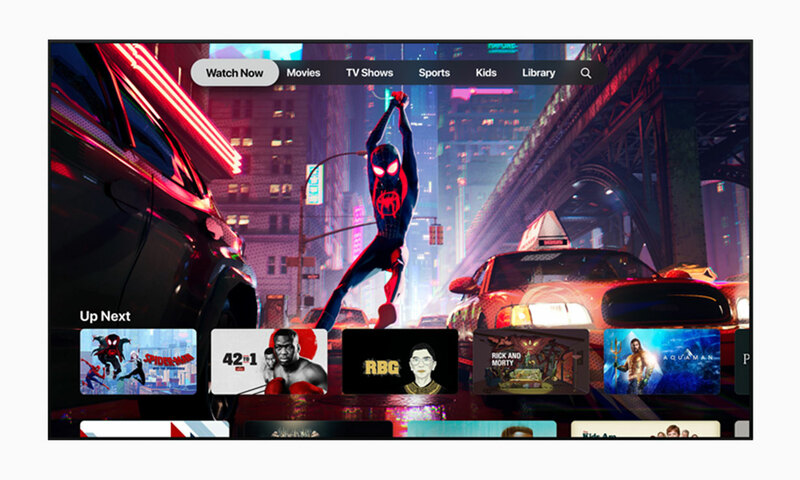 Apple has lifted the lid on its long-rumoured video streaming service, Apple TV+, bringing Apple original TV shows and films to your living room. But how does the tech behemoth’s entertainment hub compare with its long-standing rivals? With iPhone sales reportedly taking a dip, Apple has turned its attention to the world of video streaming. But it will have to offer something special to make a dent in Netflix and Amazon Prime Video membership numbers. 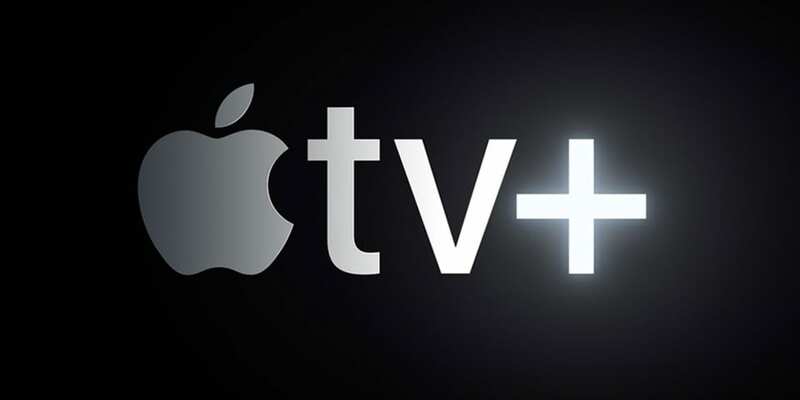 A star-studded Apple keynote this week saw us introduced to Apple TV+, a new streaming service dropping later this year that will be accessible through the existing Apple TV app. Apple also showed off its new credit card and tweaks to Apple News. Keep scrolling for more details on Apple TV+, and to see what other updates are being introduced to Apple TV in 2019. Built into the existing Apple TV app, Apple TV+ will give you quick access to Apple’s growing selection of original content. You won’t be able to access other licensed films like you can with Netflix, but Apple will be hoping the money it’s invested in new originals will grab your attention. The ad-free service will support online and offline viewing, ideal if you commute to work every morning and fancy catching up on some TV away from a trusty wi-fi hotspot. But this is no different to what’s offered by content streaming platforms such as Netflix and BBC iPlayer. However, Apple is reportedly expected to spend more than $2bn this year to lure celebrities and award-winning directors to the platform. There are still a couple of unanswered questions surrounding Apple TV+. For starters, we’re not sure about the price, or whether or not you’ll be able to bundle an Apple TV+ subscription with some other digital Apple goodies. There are also question marks over compatibility with Android smartphones and tablets. 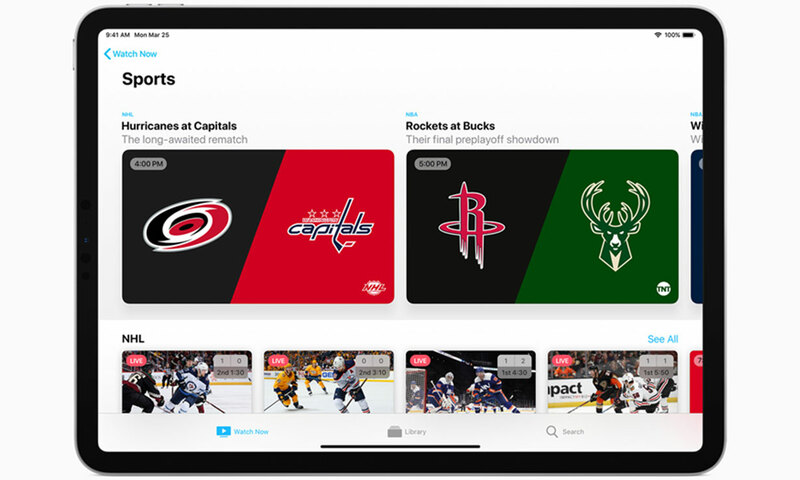 The headline addition to the redesigned TV app is the Apple TV channels page, which brings together your cable subscriptions and streaming apps and plonks them all on your home screen. Amazon Prime Video is among the apps that you will find on this new page, but Netflix users are out of luck – you’ll have to close Apple TV to get to that app. Simply put, the Apple TV channels page puts all your favourite content in one place. Apple has confirmed that you can subscribe to as many Apple TV channels as you like without the need of additional passwords. Ultimately, you’ll only have to pay for the channels you enjoy watching, rather than coughing up for a bundle of networks you’re not that fussed about. Thanks to machine learning, the app will regularly suggest new channels to explore based on your interests. Apple TV channels is coming in May 2019. What can I watch on Apple TV+? Apple originals only. A promo film for Apple TV+ at this week’s keynote ended with Hollywood legend Steven Spielberg strolling onto the stage of the Steve Jobs Theatre. Spielberg will be behind the upcoming Amazing Stories reboot, based on a fantasy anthology from the 80s. You can also expect The Morning Show, a comedy-drama starring Jennifer Anniston, plus two unnamed documentaries presented by Oprah Winfrey. Ahead of the launch of Apple TV+, the existing Apple TV app will be updated. This new version will import your purchases and rentals from iTunes, saving you from hopping from one service to another. Where can I watch Apple TV+? You can access the Apple TV app on iPhone or iPad, but it’s not available through an Android device mobile or tablet. Soon, you’ll be able to use the Apple TV app through MacOS and compatible smart TVs – Apple has announced partnerships with Samsung, LG, Sony and Vizio, but we expect more big-name brands will sign up in the coming months. The Apple TV app will also work with Roku streamers and the Amazon Fire TV stick. TV providers and services: which streaming service is best? 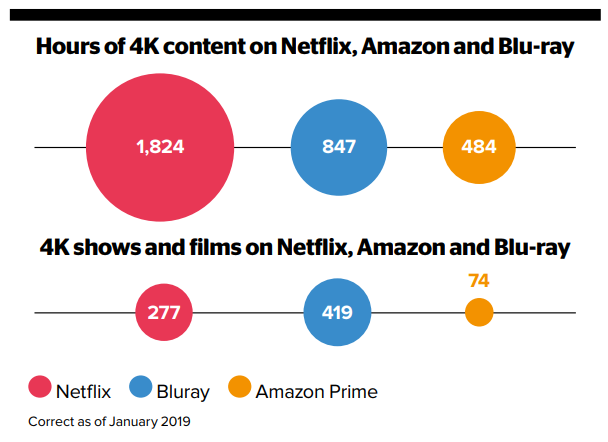 With Google, Amazon, Apple, Sky and other networks battling for the video-streaming crown, your choice of on-demand services is bigger than ever before. This is why the strength of Apple’s original line-up for Apple TV+ is so important to the company. If you’re shopping for the best streamer for you, don’t reach for your wallet without first consulting our expert advice guide on Chromecast & Fire TV Stick vs Apple TV 4K, Roku & Sky NOW TV. For more details on streaming your favourite TV shows and films, see our expert guide on TV streaming services. Paying close attention to value for money, picture quality and coverage, we’ve scored Amazon Prime Video, Now TV and Netflix.